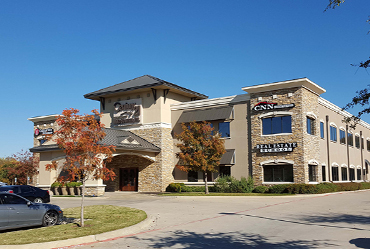 Dallas Fort Worth Luxury Homes for Sale | CENTURY 21 Mike Bowman, Inc.
We've been named the #1 office in the CENTURY 21 System 18 times including the #1 office 15 times in closed transactions. We've been listed as a Real Trend's TOP 500 real estate firms competing with over 100,000 Real Estate Firms nationwide. A proud tradition of 45 years of service in the Dallas-Fort Worth Metroplex, we are ready to serve you. We feature every Bowman listing on Realtor.com, Trulia, Zillow, Homes.com, Homefinders.com, and Century 21.com and all other major website syndication sources. You can be sure that online buyers will find your property easily. We run both a local and national print and online media advertising campaigns to give you the widest exposure possible. 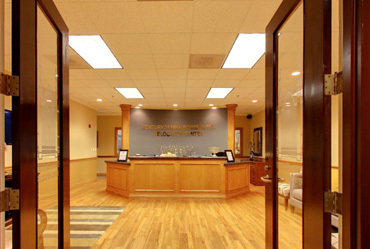 CENTURY 21 Mike Bowman Inc. is a team of more than 250 agents, management, and staff. Our team is talented, experienced and ready to serve you. We are the local neighborhood experts. We help 500+ buyers and sellers with their real estate needs each month. We work closely with you to develop a custom, innovative marketing plan designed to get the maximum dollar for your property in the shortest amount of time. We market your property so than you get maximum exposer to potential buyers around the world. Contact us for a free, no obligation market analysis. Our unique, in-house client management and feedback system is one of the leading management software programs in the industry. Our buyer agent feedback ranks higher than the majority of other feedback systems across the country. We average a high 89% agent feedback on our listings monthly. Instant feedback from buyers helps sellers in the marketing of their homes. There is always a live person from our fully staffed front desk to assist you in getting to the right person or department during regular office hours. We also have a well-staffed customer service department to help with any issue you might have. 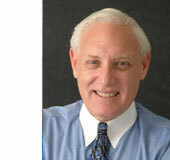 Our President and CEO, Mike Bowman, has been in the Real Estate business for 47 years and is always here to assist you. Our Relocation Department has over 40 years’ experience in relocating buyers and sellers across the nation and around the world. Our award-winning relocation team offers a customized approach to all your relocation needs. We provide you with the most innovative marketing tools and technology that help you sell your home faster and for more money. We provide each of our listed homes with its very own, free website which gives a potential buyer everything he or she is looking for including a virtual tour, unlimited photos, brochures, maps, aerial views of the property, financing options, school information and much more. At CENTURY 21 Mike Bowman Inc. we have 30+ professional, experienced, and knowledgeable management and staff members ready to assist you and our agents in selling your property. 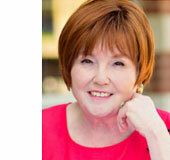 We have the most comprehensive real estate property management team in the Dallas Fort Worth Area. Since 1971, our dedicated, highly trained team provides a wide range of services to give your property the market exposure and attention it deserves. We offer a full-service lease management department ready to help you explore lease options for your property. Mike Bowman joined the CENTURY 21 Brand in 1975, being one of the first brokers to join the CENTURY 21 Region of Texas, Oklahoma, Arkansas, and Louisiana. Our firm is among the top CENTURY 21 firms in the worldwide CENTURY 21 Franchise System. CENTURY 21 REAL ESTATE, LLC is one of the world’s largest residential real estate brokerage franchisors, with approximately 6,900 franchise offices and more than 104,000 independent sales associates located in 76 countries and territories. This letter is to let you know how pleased Mike and were with Steve Kahn. When Steve came to our home in Duncanville to discuss putting the house on the market he was very informative and gave us excellent advice. Steve is a great communicator and kept us informed with each and every step in getting the house ready to sell. He got the sign up in the yard very quickly and gave our home a listing on several websites with pictures of the main rooms in the house. Mike and I would highly recommend Steve Kahn as the best REALTOR to sell houses. As a lot developer and home builder and remodeler for over 35 years I have had a chance to work with Realtors for many years. Melanie Hunt is by far the most knowledgeable, most responsive and most ethical Real Estate Professional I have encountered. I will continue to utilize her services personally and professionally as well as recommend her to all those looking for a referral. We have never previously experienced the level of professionalism that you brought to the transaction. We observed you to be efficient, effective and sincerely determined to discover and meet our needs as home buyers. We have not witnessed a work ethic the likes of which you demonstrated, and which helped us to make a suitable purchase in a compact time frame. The most impressive thing that I noticed about you from our first telephone conversation forwards was that you listen. You began to understand immediately what we were trying to accomplish, and you worked very hard to present only those listings that more closely matched what you had heard described. I cannot tell you how much I appreciated that - it saved a lot of time and frustration. Further, I cannot tell you just how much we appreciated your direct, frank answers to our questions. Melanie had our house listed twice. Once in 2013 before the housing market became strong. Our house was a unique property with several negative aspects even though is was on 3 acres, a beautiful park like setting with ponds and over 4,000 square feet with a separate guest quarters. We shared a driveway with a neighboring house and the 18 year old house needed some updating. In October of 2016, with the housing market greatly improved, Melanie relisted our house. She held multiple Open House events, showed the property numerous times, stayed in close touch with updates, and in 6 months, what had to be one of the hardest houses on the market to sell, was SOLD. Melanie was always encouraging, always positive, and her perseverance and expertise got the job done! 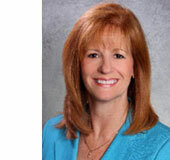 We have now used Terry Tremaine for the sale and purchase of multiple homes. Terry is a consummate real estate professional. She is extraordinarily professional and knowledgeable and uses all resources available from the vast Mike Bowman toolbox. Terry works to ensure you have an optimal sales plan that will maximize the return on the sale of any property. I would more than highly recommend her for any real estate purchase or sale transaction. 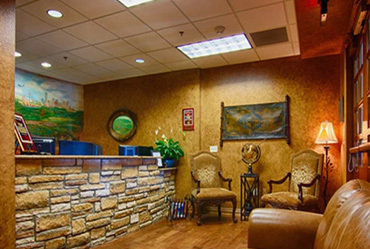 Conveniently and centrally located in the heart of the Dallas-Fort Worth metroplex, our office is minutes from the DFW International Airport. Our relocation center and award-winning relocation team is ready to assist you. 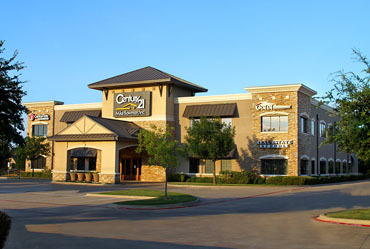 Located in the unique, open-air lifestyle shopping district of the Southlake Town Square. CENTURY 21 Mike Bowman, Inc. has been helping communities since 1971. That is why when you choose a professional from CENTURY 21 Mike Bowman, Inc., to represent you, we make these four commitments to you. - Listening to your wants and needs and making them a priority. - Always communicating with you through the entire real estate process. 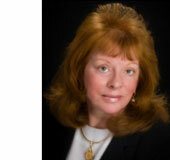 - Being your advocate when negotiating the transaction. - We are well connected in the DFW metroplex and are the Official Real Estate Company of the NBA Dallas Mavericks. - We are also the Official Real Estate Company of the Development NBA League Texas Legends. These are just some of the many reasons why families choose CENTURY 21 Mike Bowman, Inc. to help sell their home. Maybe that is why CENTURY 21 Mike Bowman, Inc.'s office has sold more homes the last 45 years in Tarrant County than any other office. Experience, service, knowledge, and tradition. Mike Bowman began his Real Estate career in 1969, opened his first office in 1971, and joined the CENTURY 21 System in 1975. Mike started his office with two agents and a dream to provide the best services and tools for buyer and sellers of real estate. As the company and the communities that CENTURY 21 Mike Bowman served grew, so did Mike's reputation as successful and fair businessman whose agent's provided unparalleled service in the real estate community. Mike being a visionary believed that the principles leading to success such as innovation, networking, technology driven production, and attention to the market place would work well in building a successful real estate organization. CENTURY 21 Mike Bowman, Inc. is among the top 500 Real Estate companies out of over 100,000 companies in North America as measured in both sales and transaction volume as issued in the 2015 Power Broker Magazine.